It is a warm, muggy day in July. The mosquitoes are working overtime while pollen blankets the air. You grab a quick shower and find something cool and light to wear to church. 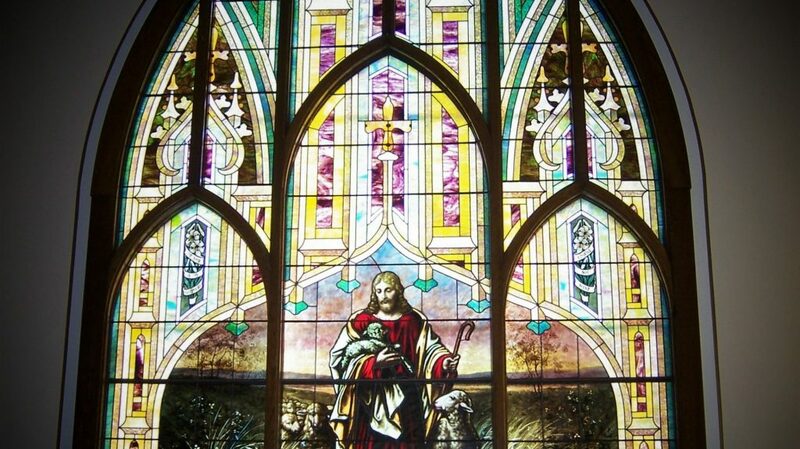 Sunday morning is a special time to greet your friends and family at St. James Trinity. It is the church building of your faith journey from baptism through marriage, children, and now grandchildren. After getting your bulletin and heading toward a pew, you hear a startled woman’s urgent scream from the back of the church. 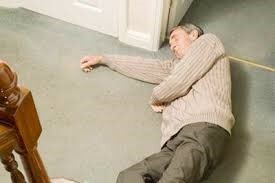 You turn just in time to see John, an older member, slumping down and landing on his knees near his frightened wife. You rush to his side as he continues to slide limply onto the floor. He is not speaking despite repeated demands from his wife and others to answer them. He is not breathing and has lost consciousness. His color is quickly getting darker and becoming blue tinged. You holler for someone to call 911 as an usher runs to get the AED (Automated External Defibrillator) from its location near the glass education-wing door. You open John’s shirt and quickly wipe his chest dry. The usher brings the AED and turns it on. You follow the AED prompts to place the pads on John’s chest. You keep everyone clear while the machine reads John’s heart rhythm and delivers shocks. You initiate CPR after the shocks and continue to follow prompts until the ambulance arrives. In this pretend scenario, John survives his Sudden Cardiac Arrest (SCA) because he received rapid cardiac defibrillation. And of course, his life was always in God’s hands. Prayers of thanksgiving are offered by all. 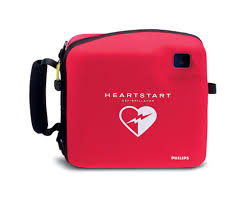 An AED is used to treat the most common cause of sudden cardiac arrest, which is an arrhythmia, or abnormal heart rhythm. Two of the most common arrhythmias are: 1) ventricular fibrillation, when the ventricles (the lower chambers of the heart) quiver rapidly and irregularly instead of beating normally, and 2) ventricular tachycardia, when the ventricles beat so rapidly that blood is not effectively pumped out to the body. In either of these conditions an AED can interrupt the abnormal rhythm, hopefully providing an opportunity for a normal heart beat to return. St. James Trinity purchased an AED in July of 2017. Company-supported training was provided to eleven individuals including church ushers, council members and others. 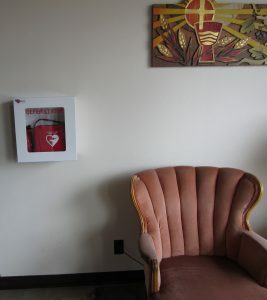 The AED is available for emergency use whenever indicated. AED training is available in educational classrooms and on-line, through various organizations such as the American Red Cross. In addition to AED training, individuals can seek training in CPR (Cardiopulmonary Resuscitation), which is useful for emergencies including and beyond sudden cardiac arrest.